Let's face it. One of the attractions of any job is how much it pays. While it goes without saying that job seekers want to find the job that pays the most, or has the highest earning potential, it's not something that most job seekers would openly admit to a potential employers. In fact, most job seekers – while interested in discussing compensation – are not eager to be the one to broach the subject, nor do they want to offer salary expectations during an interview for fear they may undercut themselves by suggesting a figure outside of the company's budget. Notwithstanding, more and more companies are asking applicants about their salary expectations during the initial interview. In the past, job seekers have been advised to avoid a direct answer to the question with responses such as “I'm flexible.”, “Can you tell me a little bit more about the position?”, “I need to earn at least as much as I've made in the past.”, or “What is the company budgeting for the job?”. While all of these responses are fair, they're not likely to win you any brownie points, or get you off the hook. Many employers will expect a direct answer to the question and more and more online applications are now requiring applicants to provide a salary expectation before applying. Knowing that some employers are going to ask for salary expectations, what is the best strategy for dealing with this question? Well first of all, you should expect the question and be prepared to answer it. 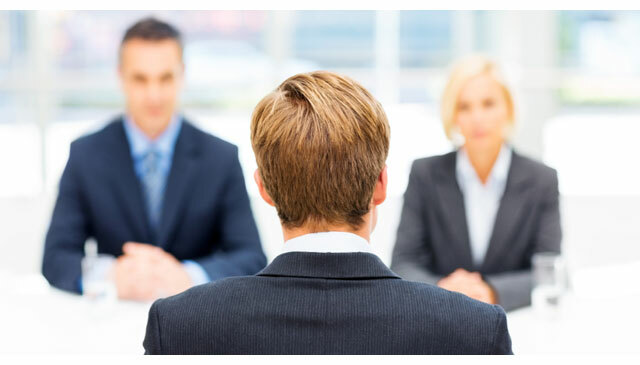 Assume that in your next interview you'll be asked, so be prepare to provide a well thought out answer. Not having an answer to this question shows a potential employer you're not serious about the position. The best way to figure out what is a reasonable salary for the position you're pursuing is to speak with other professionals within your field that occupy similar positions, industry organizations, and recruiters. They'll know what salary figure is realistic based on your experience, your skill set and the type of company you're working for. Don't try and come up with a number by searching on the Internet. Many career and salary websites throw out figures that are based on secondhand information, unsubstantiated statistics and unverifiable surveys. When calculating a salary expectation, you'll also want to factor in geographic location. A grocery store manager in San Francisco can expect to make substantially more than a grocery store manager in a small town in Iowa. It's tempting to base your salary expectation on what you need, when in reality it should be based on other factors – such as what the local market is paying for professionals with your skill set. Communicating to a hiring agent or potential employer what you'd like to earn, rather than what you're worth according to market conditions communicates you're a bit naive, arrogant, or both. Make sure your salary expectation is in line with what the market will bare. Another temptation when asked to provide a salary expectation is to provide a salary range. While this has it's apparent advantages, it also has some disadvantages. Providing a salary range, as opposed to a specific salary figure, indicates that you're open to negotiation and helps to ensure that you don't throw out a figure that's not going to be acceptable to the employer. However, if you offer a wide range like “$60,000 to $90,000” you better be prepared to accept an offer of $60,000 a year. Don't offer a salary range if you're really not willing to accept a salary at the bottom end of the range. Don't assume that just because you know how you're going to answer the question that everything is going to run smoothly during the interview. You may be surprised to find out that when it comes right down to it, you're not entirely ready to express your salary expectations in manner pleasing to both you and your potential employer. We highly recommend sitting down with someone and role playing. Have someone pose as a hiring agent or potential employer and ask you what your salary expectations are. Do your best to answer the question as you've rehearsed, and see how it goes. Practice until you're completely comfortable discussing the issue and your response sounds completely natural. At the end of the day, the interviewer knows you're looking for a job that provides a descent income. Just be direct and honest with the interviewer. Let him or her know what your salary expectation is and why you feel your expectation is fair based on your skill set and what you've seen in the market. Chances are if you're honest and fair in your expectation, the interviewer will probably agree on a number close to what you proposed.